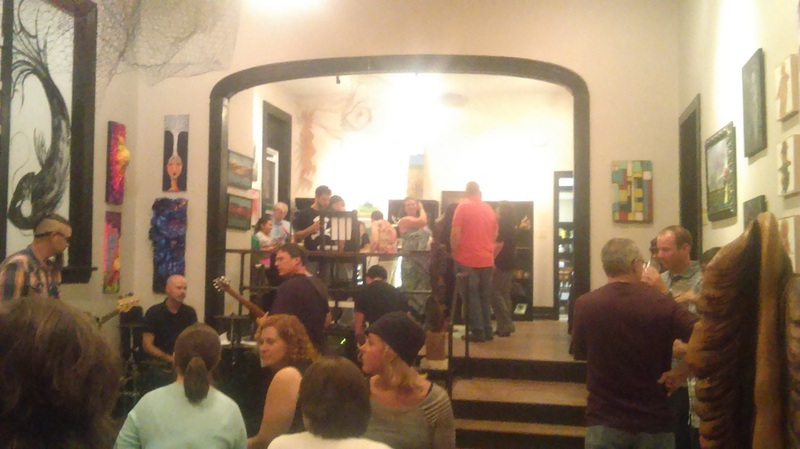 On September 12, an art gallery opened on Front St. in Catasauqua, PA. Catasauqua is a great, small town. In the Lehigh Valley, like other areas, you usually think of art galleries in the larger parts and cities. Catasauqua is another part of the re-birth of the Lehigh Valley. This small town has several events, especially in the summer. It still surprised me that a gallery would be opening there. BTW: the Gallery is easy to find. The 415 is the actual address on Front St. The gallery is basically the first floor of a house converted to an art gallery and studio. There is a lot of space for different genres of art (paintings, sculptures, etc.). It is used to the fullest extent. 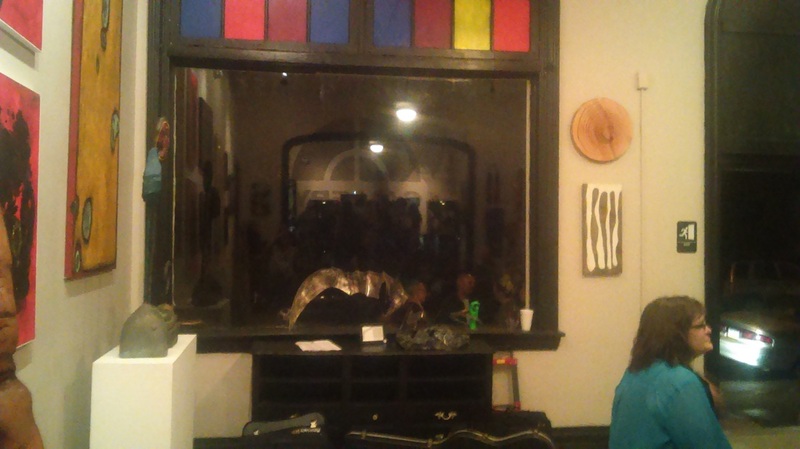 At the grand opening, the art was presented in a way that was not to packed or spaced out. I first arrived around 6 p.m. The gallery was so packed with people, it was very hard to move, let alone get good photos / videos. Besides, I wanted to catch the Beautiful Distortion performing later. One of the area's best, original bands. Arriving a little later, there was still a good crowd. 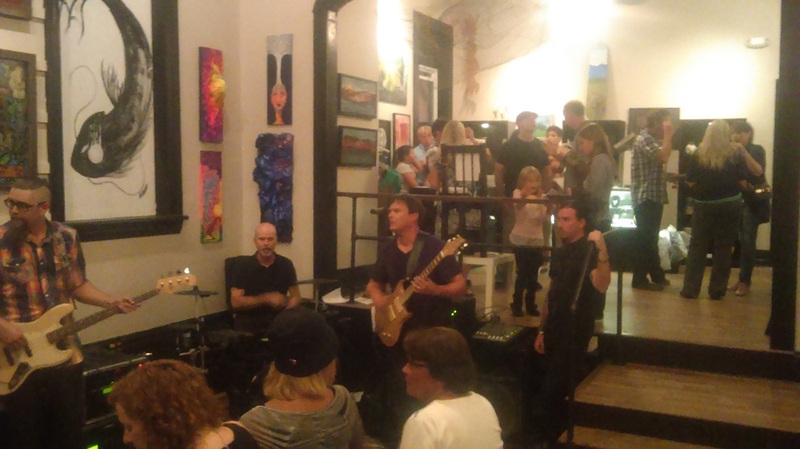 The Beautiful Distortion was rocking the gallery. Attending a lot (lost track) of exhibit openings, this one was very refreshing. The gallery part is actually 2 levels. Main gallery and wall space is lower than the counter and most of the jewelry. Again, something different and exciting. As you can tell from the photos and videos, the art display was very well planned out. Each section and piece drew you to the next while still being able to focus on individual works. 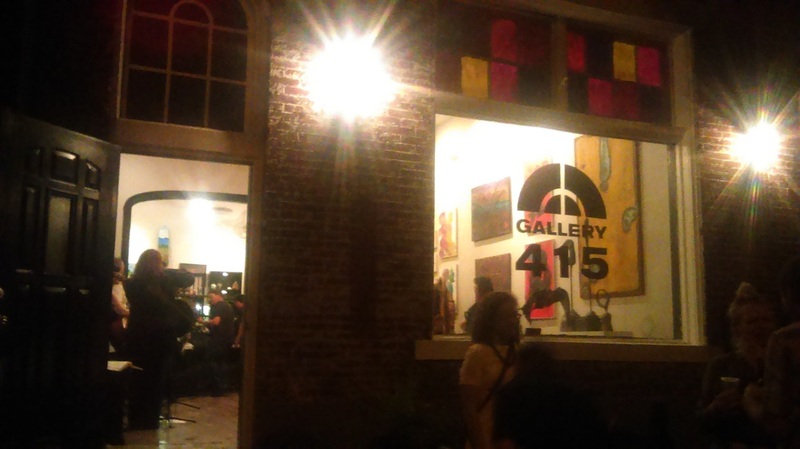 With more events planned, including a Paint Nite, Gallery 415 shows a lot of promise and evolution. It will definitely be a huge help to showing the Lehigh Valley is more than Allentown, Bethlehem and Easton. Highlighting all the great aspects of the small towns in the area. There are 2 challenges I do see for the gallery. 1) parking: To the best of my knowledge, all the parking is on street. You may have to walk a block to get there. This is not really a big deal depending on if anything else is happening. 2) Let's be real: art costs money. 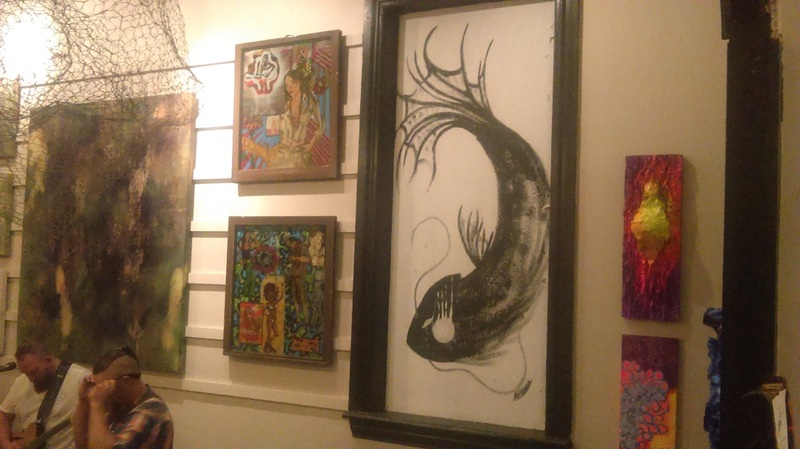 Bringing people who can afford the art to the gallery and Catasauqua. Between the location and what I have seen of their upcoming events, the gallery will find a way to overcome #2.